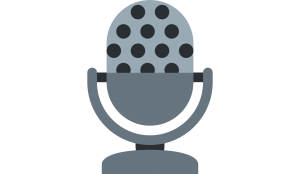 Welcome to the Get Traction Podcast, a show aimed at educating aspiring real estate entrepreneurs. 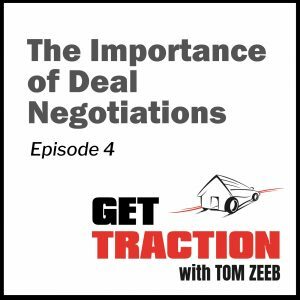 In this episode, host Tom Zeeb discusses the importance of negotiating and Making the Deal. Negotiation is one of the most important financial and life-improving skill that anyone can have. Tom is a staunch proponent of this point and believes that negotiation skills should be taught in school and at an early age. Tom further talks about the importance of having confidence when negotiating deals and how to develop it. He highlights the three major categories of successful negotiation: starting the conversation, getting the price down and closing the deal. Tom also provides three detailed techniques that can be employed by anyone looking to improve their negotiation skills. These include the flinching technique, the specific numbers technique, and the higher authority technique. By utilizing these techniques, negotiating parties can arrive at a win-win scenario where a mutually beneficial outcome occurs for both parties. Negotiation is flat out the most important money-making skill you can learn. Period. And, negotiation is the most important life-improving skill you can learn. Period. In order to lock somebody into a price, make them fight for it. I highly encourage the listener to put these into practice because with practice comes permanence.